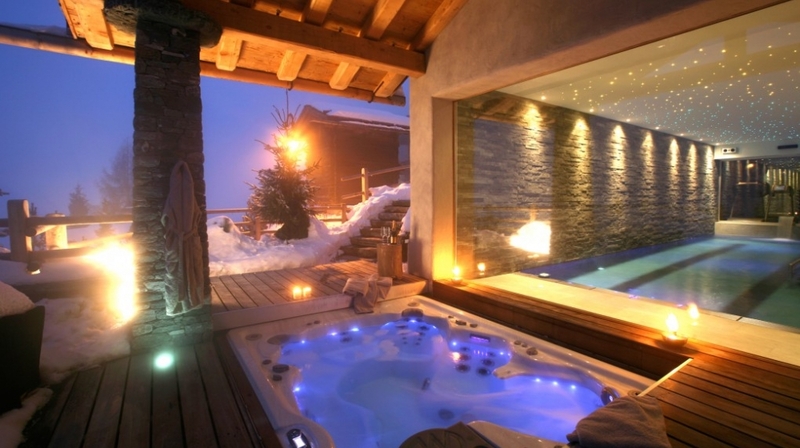 Magnificent and exclusive, Chalet Spa Verbier is one of the world�s best chalets with a contemporary design, spectacular spa and epic location with breathtaking views of the Alps. The attention to detail is superb with a highly trained team who will ensure that no request is left unanswered. 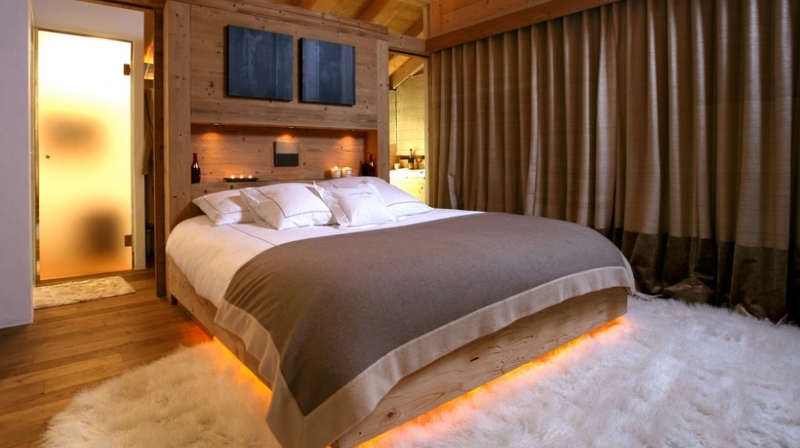 A short walk from the Savoleyres lift station and tucked away down a private road, Chalet Spa Verbier offers the convenience of a prime Verbier location yet the seclusion and privacy that you�d expect from an exclusive residence. 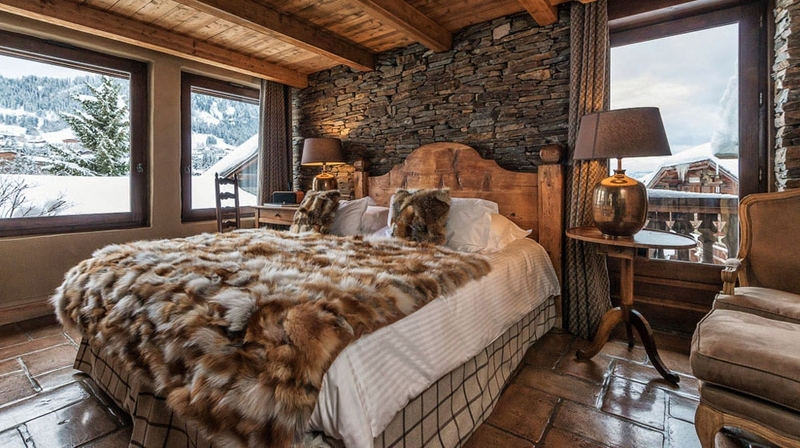 Inside the property is resolutely modern yet still retains an authentic chalet flavour through the use of locally sourced natural materials, such as massive timbers and mountain stone. For those who enjoy relaxing, there is a feature swimming pool with a huge glass window and an uninterrupted view of the Alps. 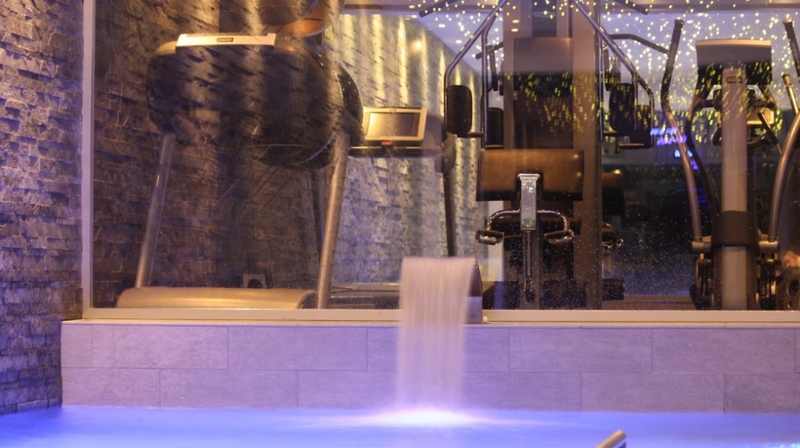 There are indoor and outdoor private fitness zones, a hammam, sauna, massage room, jacuzzi and Canadian cedar wood hot tub. The pool converts to a volley ball court. 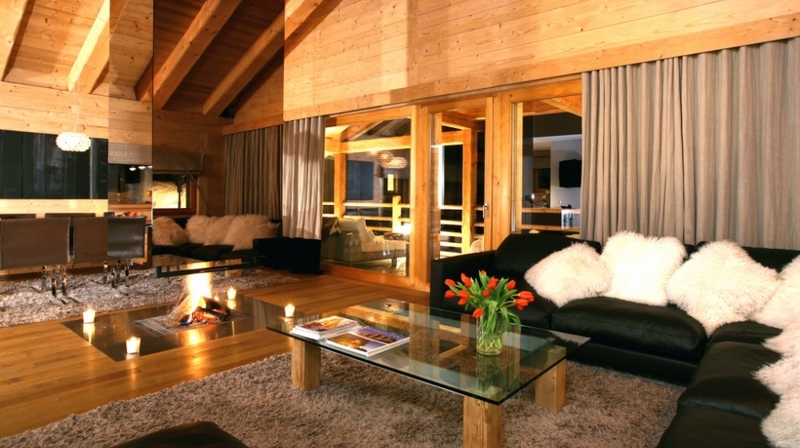 The chalet�s facilities include a glamorous private cinema, a games room and an enormous terrace with panoramic views. 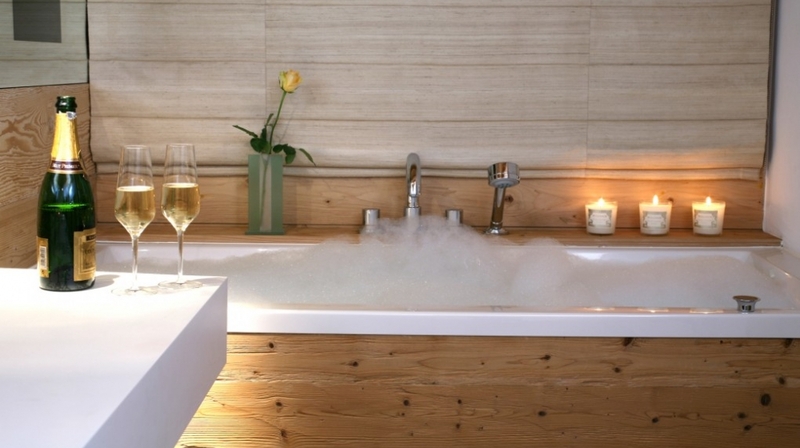 Chalet Spa residences offer relaxing tranquil bedrooms with private bathrooms. 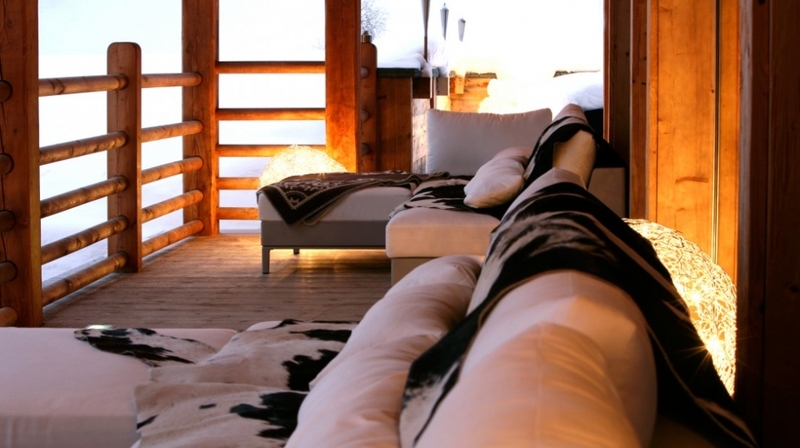 The atmosphere in the bedrooms, as indeed throughout the chalets, is resolutely contemporary, with the emphasis on comfort, sophistication and hi-tech equipment. 5 bedroom (all en suite) including a beautiful penthouse master suite with king size bed, private terrace and minibar, with 4 further bedrooms which can be set up as king size or twin bedrooms. The master suite on the top floor has an original glazed gas flame fireplace cut in the wall opposite the bed, and through the flames the view is to the mountain beyond. Within the master suite is a luxury bathroom, with rain shower, a private jacuzzi bath with mountain views, and twin his and hers basin. The residence has four more bedrooms located on the floor below the living room, where the spa and its majestic swimming pool can also be found. The entire floor opens onto a terrace with decking and grassed lawn, external fitness area and an outside jacuzzi under massive timber roof, with incredible views. Two of the bedrooms on the spa level can be linked to create a family suite with 2 bathrooms. The living room is spacious with materials and colours offering the promise of complete relaxation and South, East and West facing panoramic views of the Alps. The central fireplace, an important architectural element underlining the rooms contemporary atmosphere, has a hearth level with the floor. Much attention has been spent in designing the lighting throughout, to ensure a gentle mix of colour and light to create the perfect ambience throughout the day, inside and outside the property. 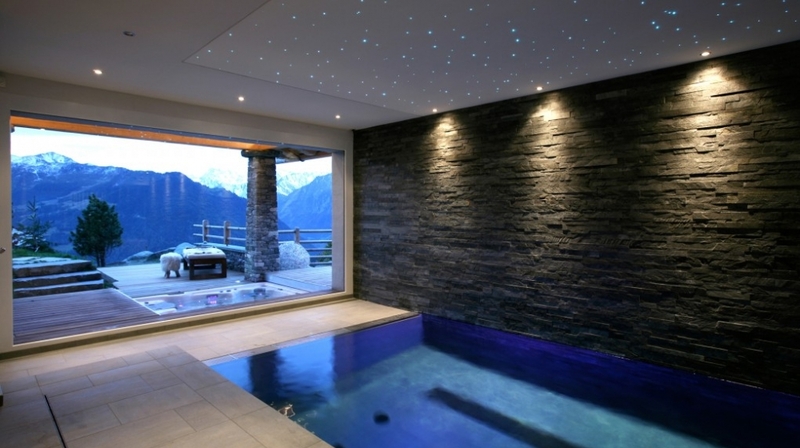 Designer swimming pool with a huge glass window and an uninterrupted breathtaking view of the Alps. Pool converts to a water polo court. Access to swimming tuition on request. 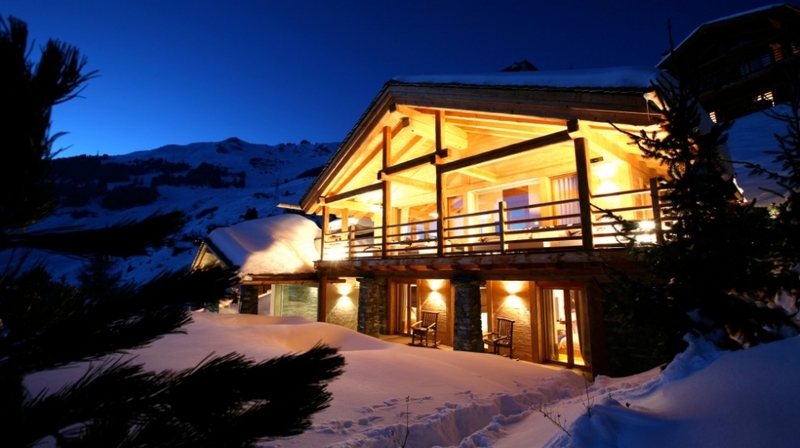 Chalet Spa residences benefit from the services of a professional, discreet and efficient team comprising a concierge, a chef, a team of therapists and chambermaids. 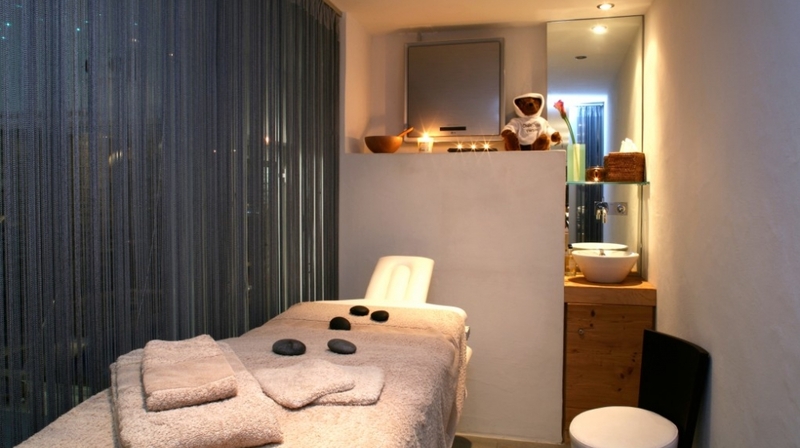 The desire on the part of every team member is to create an intimate and �homely� atmosphere as part of a range of professional and personalised services. Breakfast, lunch, afternoon tea and dinner at Chalet Spa prevailing rates (excluding preparation of one lunch and one evening meal on a nominated day for each week of stay). There is also an extensive range of exclusive wines, champagnes and spirits from which to choose from. By Air: Distance to airport: Geneva 1.5 hrs.Transfers to and from the airport can be arranged. 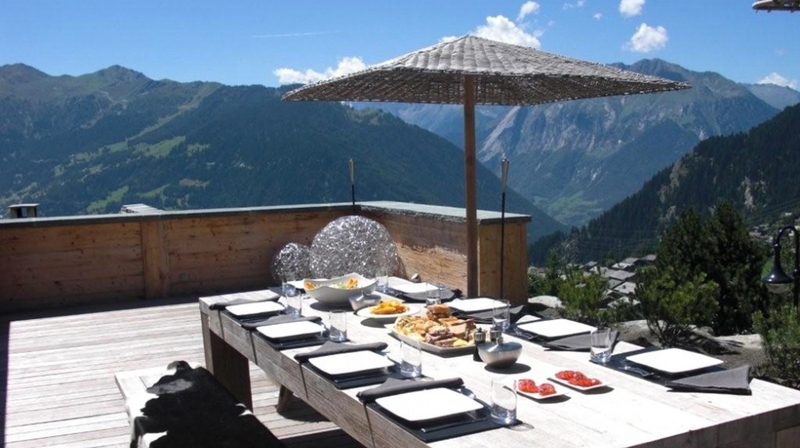 By Car: Verbier is less than two hours by train or car from Geneva airport and just 45 minutes from Sion airport.